Get to know Toyota's ASE-certified trainers. 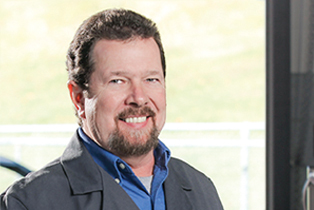 Senior Collision Training Administrator, Toyota Motor Sales, U.S.A., Inc.
Over the years, DiDonato has worked as a technician in body shops, an instructor for Chief Automotive Systems, Inc. and in the automobile insurance industry. DiDonato brings his extensive experience to the classroom at the Torrance, California, training center. When he’s not teaching, DiDonato cooks, makes his own wine, and enjoys gardening, remodeling—and, of course, working on cars. Adjunct CR&R instructor, Toyota Motor Sales, U.S.A., Inc.
Students attending class at Toyota’s training center in Jacksonville, Florida, will take CR&R courses with adjunct instructor Dan Hodges. 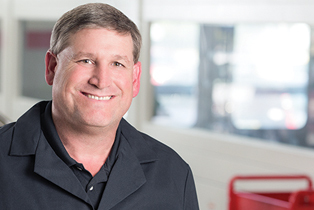 Hodges has had a long career in the collision repair industry. 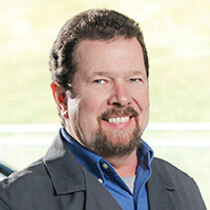 He’s worked in dealer-affiliated collision centers and independent collision centers, and has even owned his own shop. Hodges has worked as a collision repair technician in shops and also as a manager, so he understands different aspects of the business. He knows the challenges that managers face as well as the issues that technicians can run into. "I am a technician at heart still," Hodges explains. "I know that if you can’t have fun, you can’t learn. My approach is to help technicians be comfortable in my class so that they can get the most out of the training." Hodges says that in all his years in the collision repair industry, he sees CR&R training as providing something unique to students. It gives them the manufacturer’s recommendation on how to repair Toyota’s cars the right way. When they leave class, they know Toyota’s recommendation for how to conduct repairs, and they also know where to find important resources they need to work on Toyota vehicles. James Meyer started his career in the industry sanding and detailing for a backyard repairman at the age of 12. He began working professionally at a local body shop while still in high school. He eventually moved on to establish his own auto body repair business and then landed a position as a technical instructor. 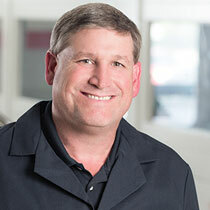 Meyer has been an instructor at Toyota’s training facility in West Caldwell, New Jersey, since 1998. When he’s not training, Meyer pursues his passion for classic muscle cars. He also enjoys time on the Saint Lawrence River in New York, where he spends many summer weekends fishing and relaxing. 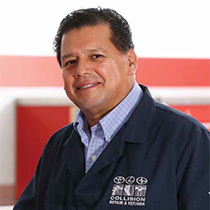 Collision Training Administrator, Toyota Motor Sales, U.S.A., Inc.
Diaz comes to the training program with over 35 years of experience as a body tech working in various shops. His specialty is heavy collision work. 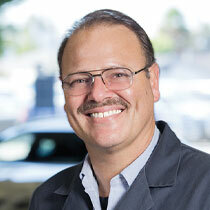 Diaz also taught automotive technology at Contra Costa College and taught I-CAR training for three years. In addition, he worked for VeriFacts, visiting and inspecting their facilities and repairs and then making recommendations. With a teaching credential from the University of California, Berkeley, Diaz is at home in the classroom. He knows that there are many different types of learners, and he shapes his lessons so that they have elements that reach visual, kinetic, auditory and hands-on learners. One huge advantage of Toyota training is that half of the day is spent in a classroom setting and half of the day is spent practicing collision repair and refinish techniques in a hands-on environment. All of this experience makes Diaz a valuable instructor. 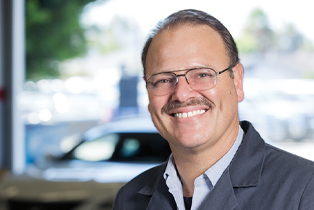 He understands the automotive repair industry from the viewpoint of a technician and trainer, and from the viewpoint of the insurance industry.